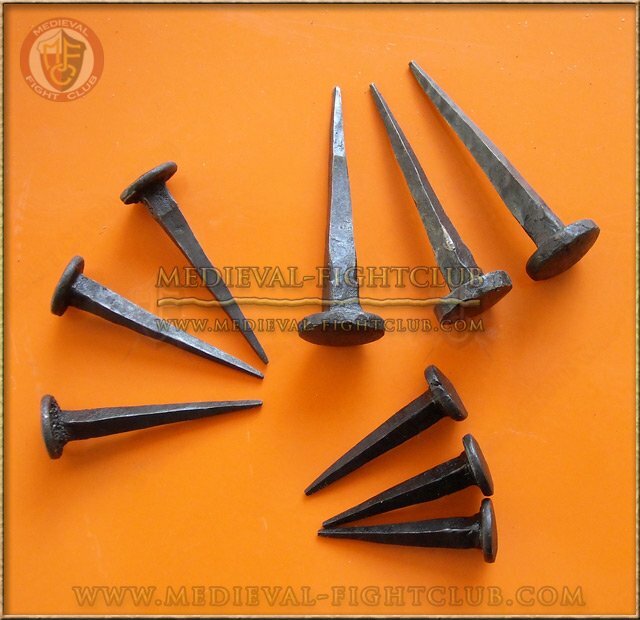 Also called "cut nail" or "clout nail," an inter-fibrous friction-fastening device having a rectangular cross-section, and a wedge-shape along the longitudinal axis. Clinch nails are intended to be 1/8"-1/4" longer than the thickness of the materials being nailed, so that the end when pounded through the materials and onto a metal clinch plate would bend back upon itself. This page has been seen 755 times. An automated review of this page attempts to determine its readability in English (US). The page contains roughly 67 words across 5 sentences.